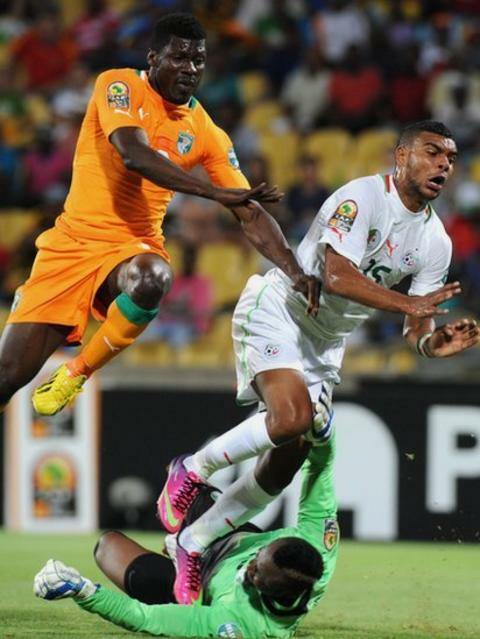 The 2013 Africa Cup of Nations has reached the knockout phase, after a typically eventful and colourful group stage. 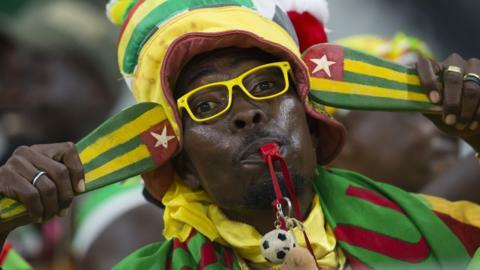 Here, a Togo fan celebrates the Sparrow Hawks' first qualification for the quarter-finals - at the seventh attempt. 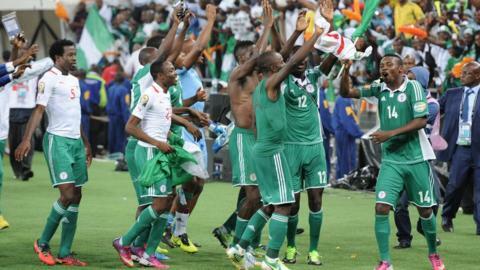 Niger exited at the group stage, having earned their first Nations Cup point, after two finals appearances - matching the pre-tournament expectations of coach Gernot Rohr. 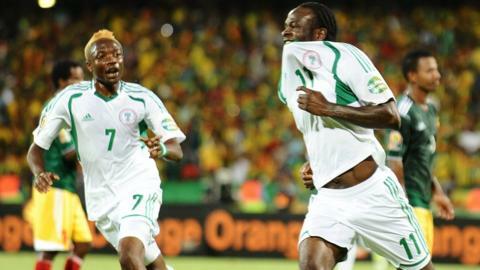 Nigeria's Victor Moses scored twice from the penalty spot against Ethiopia to put the Super Eagles through to the last eight, on their return to the tournament after failing to qualify in 2012. 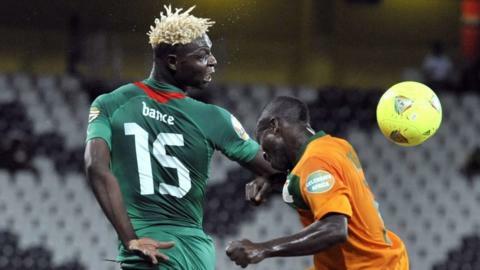 Burkina Faso's Stallions also progressed - for the first time since they hosted the tournament in 1998 - at the expense of defending champions Zambia. 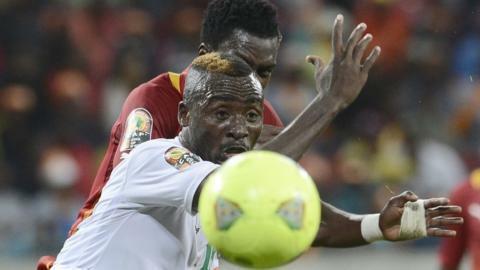 The Chipolopolo became the first defending champions since Algeria in 1992 to exit at the group stage - with three draws not enough to earn them a last eight place. 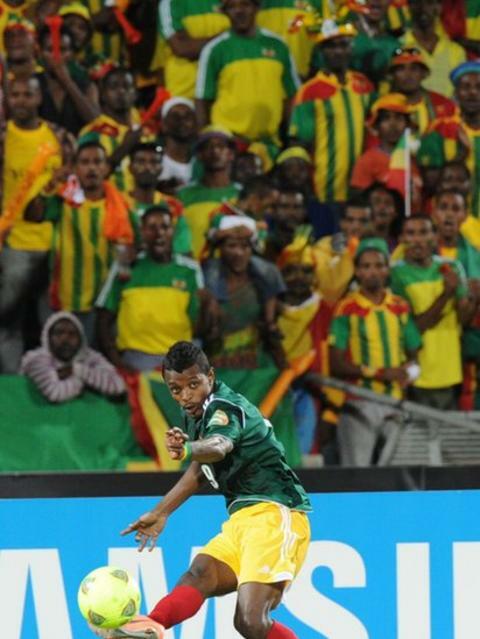 Ethiopia's fans turned out in huge numbers for the country's first finals appearance in 31 years. 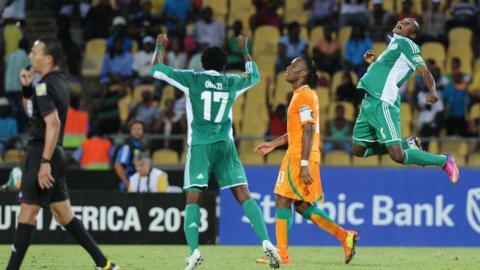 They departed with a point, after a promising 1-1 draw with Zambia was followed by defeat to Burkina Faso and Nigeria. 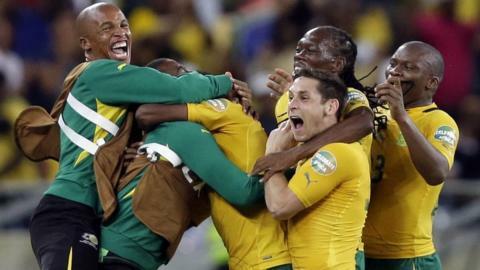 Bafana Bafana, meanwhile, defied many of their critics by topping Group A to set up a last eight clash with Mali. 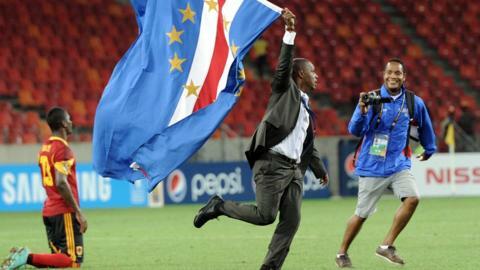 Debutants Cape Verde became the fairytale story of the 2013 tournament, after their coach Lucio Antunes - on leave from his job as an air-traffic controller - led them to a quarter-final spot, with victory over Angola. 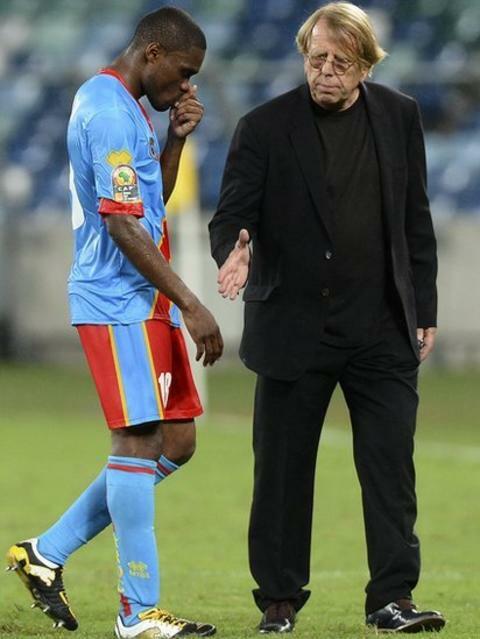 Veteran DR Congo coach Claude LeRoy, meanwhile, bowed out of the tournament at the group stage for the first time, having previously guided Cameroon, Senegal, Ghana and the Leopards to the knockout stages. 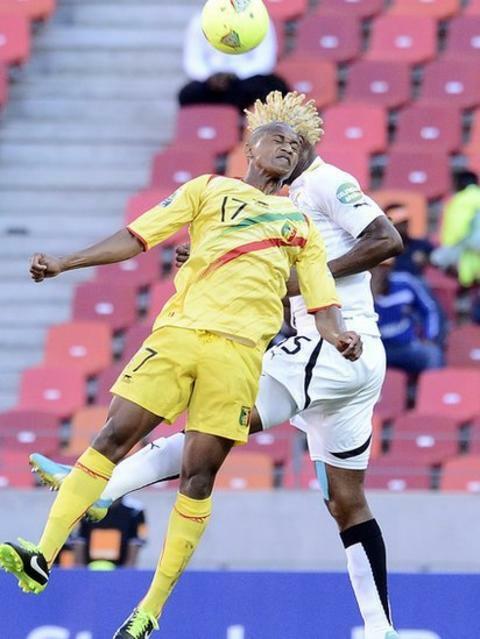 Mali and Ghana progressed from Group B, with the Eagles' players saying they hope to provide a joyful distraction for their fans from the conflict back home. 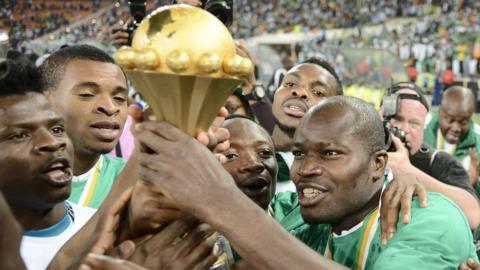 Favourites Ivory Coast progressed at the expense of Algeria and Tunisia, who joined neighbours Morocco on the plane home - marking the first time since 1992 that no side from North Africa progressed to the knockout stage. The Ivorians once again failed to live up to their billing as favourites as they were beaten 2-1 by Nigeria's Super Eagles in the quarter-finals. 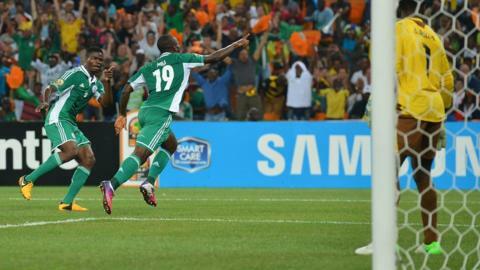 Elephants captain Didier Drogba said his chances of ever lifting the Nations Cup disappeared after the defeat.